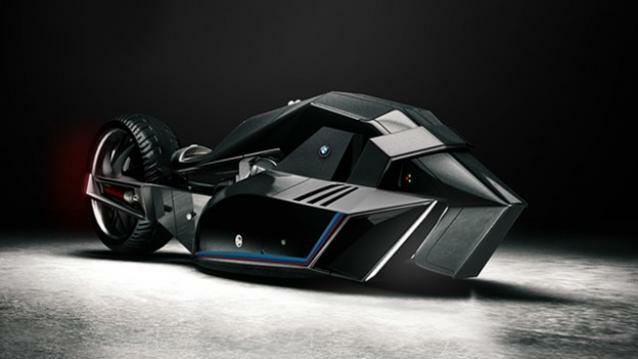 German automobile company BMW has unveiled their vision of the future with their Titan concept motorcycle. 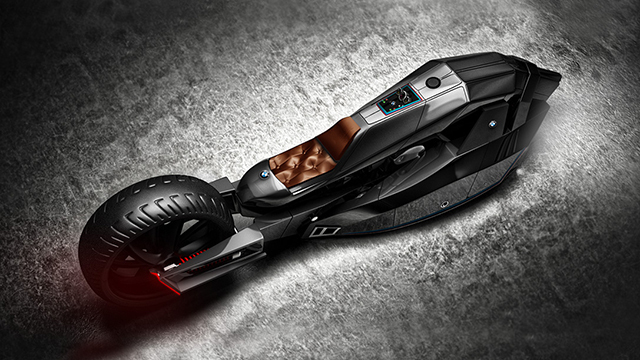 The bike takes design inspiration from sea life such as sharks, and a futuristic sleek outer shell covering the front half of the vehicle. The purpose of this design is speed, with the bike able to break the 376 mph land speed record thanks to its airtight front end that funnels air around the bike through the use of makeshift “gills”. The user themselves sit within an enclosed cockpit on the bike, and is powered by a turbo engine located near the massive rear wheel. The design was created in part with industrial designer Mehmet Doruk Erdem, and there are no plans for this design to hit retail in the foreseeable future. Universal Studios Japan, one of the four global Universal Studios theme parks, is looking to open the new year in a cool new way with a variety of attractions dedicated to various anime and video games! 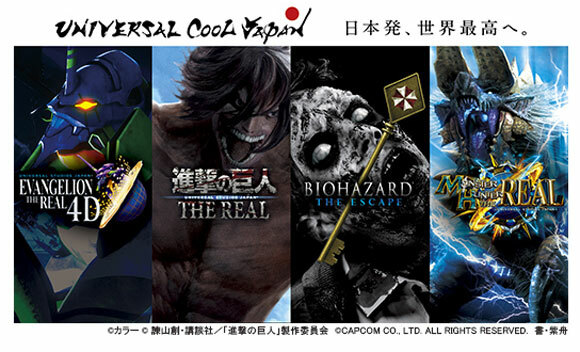 Located in the Osaka Prefecture, the theme park has announced these attractions for its upcoming Universal Cool Japan event, which will run at the park from January 23rd to May 10, 2015. Included in these attractions is a themed attraction based on the popular mecha anime Neon Genesis Evangelion! The new type, titled “Evangelion the Real 4D”, well take place in the Universal Studio Cinema 4D theater, which features moving seats alongside smoke, mist, wind, and other sensory effects to immerse viewers in the ride. 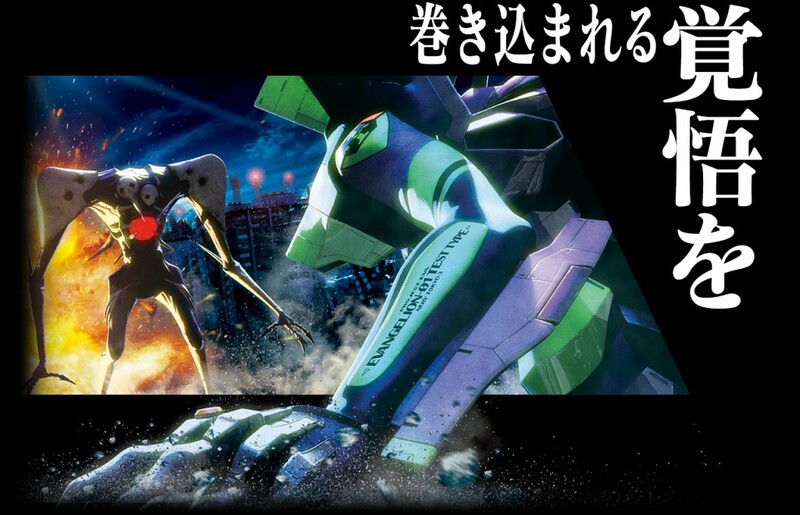 The Evangelion attraction will feature an original story in the Evangelion universe, in which visitors spectate a battle between Eva Unit 01 and a giant Angel from a large helicopter. The exhibit will also featured 3D footage, and will even feature an unknown unique kind of Eva! 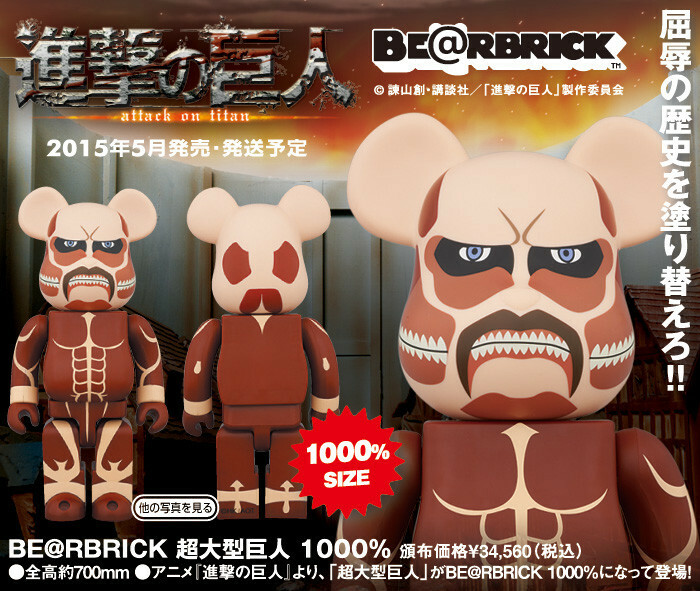 On top of that, Universal has also announced a statue commemorating the recent manga and anime series Shingeki no Kyojin, otherwise known as Attack on Titan! 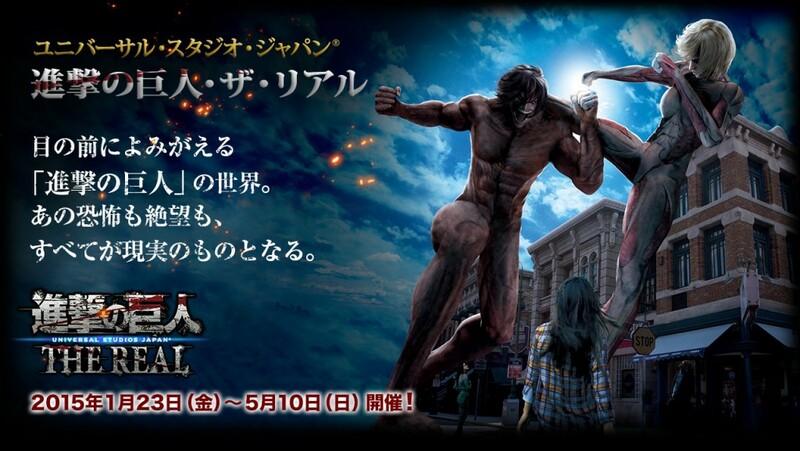 The statue will recreate the battle between protagonist Eren Yeager in his Titan form against the equally-massive Female Titan. The statues will be life-size, and will stand 50 feet tall! The statues will be accessible to all visitors of the site, and Universal will also be planning walk-through tours around the statues. On top of the Evangelion and Titan exhibits, attractions are also planned based on the Resident Evil Series, titled Biohazard in Japan, along with the popular Monster Hunter franchise. These cool events and more planned to open next year, with news about each to be released in the following months.